A beautiful 18″ x 24″ poster by Tuckey’s illustrator Rod Cole. 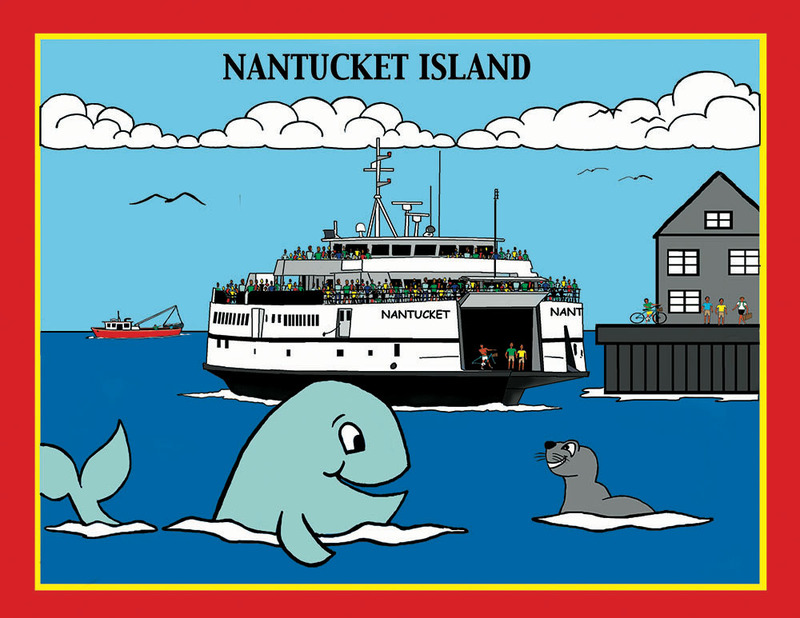 Tuckey is here every day to happily greet the Nantucket ferries arriving from Cape Cod. Families enjoy the beautiful two-hour trip and are excited to arrive at Nantucket. Put this poster in your home to remind you of the wonderful ferry trip across Tuckey’s pristine blue waters.